A memorial to Jewish veterans with ties to southern Alberta was unveiled Friday in southwest Calgary. The Calgary Jewish Community Centre (JCC) now proudly displays the photographs of 174 local veterans in its veterans wall of honour. Each of the photographs of those who served in the First World War or Second World War is accompanied by the veterans name, rank, branch and their birthdate. 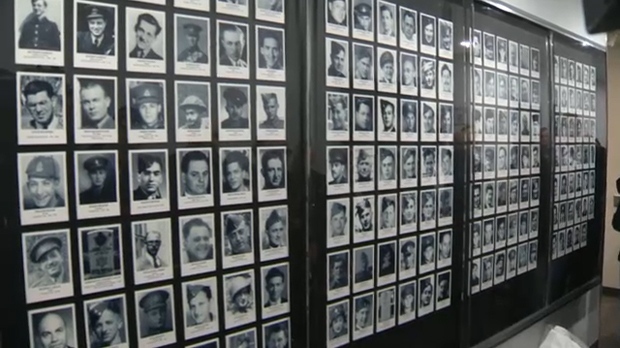 Blanchard says the wall is the result of a ‘fantastic collaborative effort with the Southern Alberta Jewish Historical Society’ and the society helped secure quality photographs and information to do justice to the stories of the memorialized veterans.